Reporter: "What's it like to be Bob Hope? "Hope: "I wouldn't have it any other way. 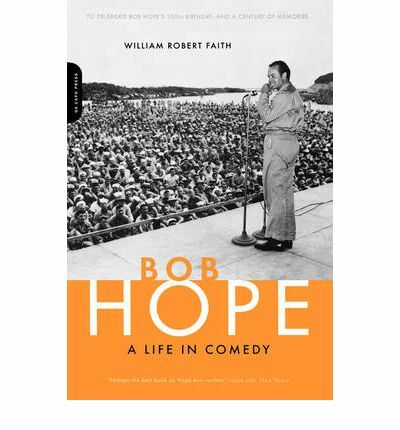 "From Bob Hope's early career as an upstart among professionals like Jack Benny and Milton Berle in the rollicking world of traveling comedians, to his blazing success as a radio, television, and film star, this completely revised and updated version of William Faith's acclaimed biography takes a straightforward, appreciative, and very funny look at Hope's life and times on the occasion of his 100th birthday. Filled with anecdotes, photographs, and plenty of jokes, the book reveals the real Bob Hope from his boyhood in England and youth in Cleveland to his present status as a living legend-a full-blooded, authentic appraisal of the man and his humor, a comic institution who is also a brilliant businessman, manipulator of the media, and politically influential figure. And of course Hope is the man who brought laughter and cheer (and long-legged beauties) to GIs throughout the world. At a time when patriotic fervor has never been running higher it's worth recalling the singular tribute paid Hope by none other than John Steinbeck: "When the time for recognition of service to the nation in wartime comes to be considered, Bob Hope should be high on the list...He gets laughter wherever he goes from men who need laughter." Happy 100th, Bob!